Exclusive: Beautiful new print from HomeGround artist Steven Brown! We are delighted to let you know about this stunning new painting by artist Steven Brown. Regular site visitors will know that we host a gallery of Steven’s work here in our HomeGround pages, and Steven’s Kate Bush art adorns both covers of the recent HomeGround Magazine Anthology books. 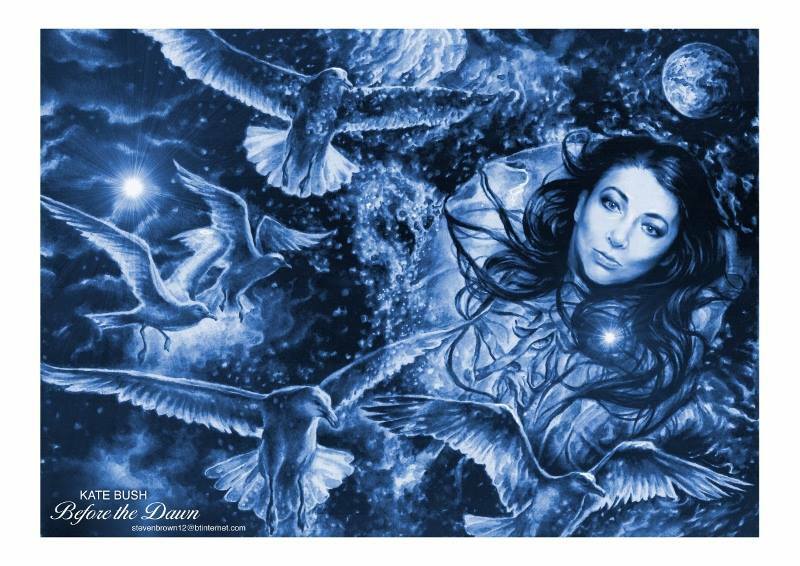 Inspired by Kate’s “Before The Dawn” live shows, the artwork is now available to purchase as a limited edition print. The prints are 13.5”x19” (Glycee) with a gloss finish on quality art card and are limited to 100 copies. Please contact Steven by email at stevenbrown12@btinternet.com for details on pricing and availability. You can also see some of his work at his artist blog here.